Born and raised in Seoul, Korea, she came to U.S. to study music at Manhattan School of Music prepatory division at age 16. She received Bachelor's degree in music performance from Manhattan School of Music. She also received Master's degree in music performance from Yale University. While she was in school, she studied with Ms. Lucie Robert, and Maestroso Sydney Harth. She began her teaching career as a teaching assistance under Maestroso Harth giving lessons to undergraduate students while she was studying at Yale University. She performed as a soloist as well as a chamber musician throughout the United States. She has been focusing on teaching since her family relocated to Carmel, Indiana in 2007. 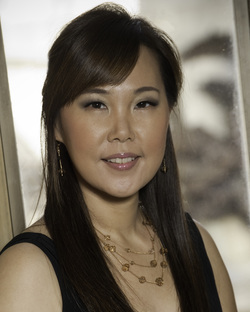 She is a director of Carmel Violin Studio, a private violin studio located in Carmel Indiana. She also teaches at Indiana University - Perdue University of Indianapolis (IUPUI) as an adjunct Faculty and coaches ensembles and the violin section of the orchestras at the Carmel High School. She is actively performing as a violinist in The 3 Beats Piano Trio. They were featured on 'Indy Style', a morning TV program from WISH-TV in Indianapolis, IN. They were also invited as featured artists in Women's Month Celebration Concert that took place in Indiana University - Perdue University of Indianapolis. She has been teaching the violin more than 20 years. She is happily married with husband, Joon. She has a 10 year old daughter, Angie who is an aspiring Cellist and a golden doodle pup name Cello.